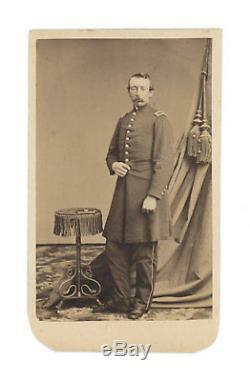 A nice CDV featuring Surgeon John M. Forshee , who served as Assistant Surgeon with the 11th New York through June 1862, when he became Surgeon of the 66th New York. Forshee took a leave of absence, however, and died in Monroe, New York in November 1862. The carte measures about 2 1/2 x 4 and is in very good condition, as shown. The mount has rounded corners, likely for placement in an album. The backmark is that of Fredericks, New York. 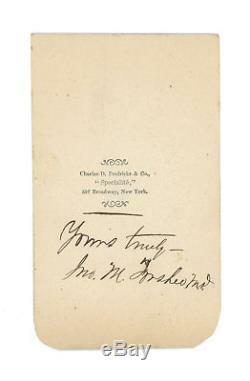 It is also signed by Forshee on reverse. 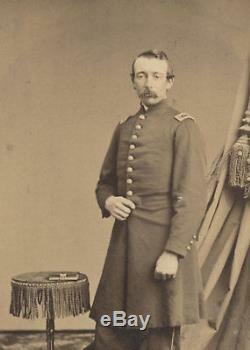 Please see my other items for more Civil War images, letters, and documents. The item "Civil War CDV of Surgeon John M. Forshee, 11th & 66th New York Died 1862" is in sale since Sunday, October 7, 2018. This item is in the category "Collectibles\Photographic Images\Vintage & Antique (Pre-1940)\CDVs". The seller is "iron-horse-sales" and is located in Champaign, Illinois.